In a case being tagged as “one of the most important battles” in YouTube history, Mars Argo (Brittany Sheets) had alleged identity and copyright infringement against Corey Mixter and Moriah Pereira (commonly known as Poppy). The grounds of the allegation mostly related to a video put up by the duo, which was termed as a “Mars Argo knockoff” by Sheets. 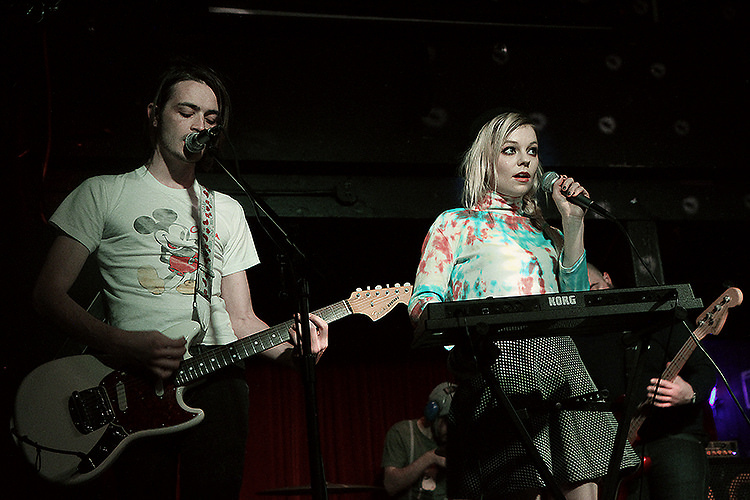 The core of the dispute (as far as copyright and image rights are concerned) rested upon the claims stating an intimation of Mars Argo’s identity, likeness, expression of ideas, sound style and certain other distinctive elements of Argo’s voice and look (dyed hair to a specific Platinum color). It was claimed by Sheets in the lawsuit, that the duo tried to emulate the look as well sound style-associated with her and tried to pass themselves as her for commercial purposes. This law suit has however reached an ugly settlement (details can be found here) where the parties have agreed to never speak to or of each other and where all the rights to the work and identity have been settled to remain with Sheets. According to us however, a claim for fair use is bound to exist here, as there was no substantial reproduction of the work per say, and such a restrictive interpretation of a parody can have major ramifications on the YouTube creator community. Even in the case of H3H3 v. Matt Hoss, fair use was upheld on a YouTube upload which was criticising or came into the category of a parody. Similarly, herein as well merely the style or the way the content is expressed has been appropriated rather than the expression itself. The intricacies of the matter are not present in the public domain and hence an accurate analysis would be tough to construe, however I would like to point out to the case of Campbell v. Acuff Rose (1994) which bought in the concept of “parody as an obvious claim of transformative and fair use”. Justice Souter in that case had held that, parody, like comment or criticism, is bound to be covered under fair use and Section 107 of the US Copyright Act. It is an amalgamation of reference and ridicule which has been held to be permissible as a transformative element. Further, the court had coined the “conjure up” test wherein it was established that the threshold to deny a finding under fair use, in the case of a work which was a parody, was when the parodist appropriated a greater amount than necessary to ‘recall or conjure up’ the object of the parody. Hence, merely appropriating the sound style or look won’t qualify as infringing content per say, as long as substantial similarity is sufficiently established. As reported in Spanish by Cointelegraph, the Argentina based NEM foundation signed an MOU with a local trade union of journalists to work upon building a blockchain based solution for copyright protection. The issues which are sought to be countered through this are that of content theft and royalty paying failures amongst others. It has been developed to regulate the flow of content and enforce licensing rights effectively. A similar arrangement was recently entered into for a similar purpose by Associated Press (AP), to track the use of content. AP had entered into such an agreement with CIVIL, to use its network to track the use by potentials of created content. 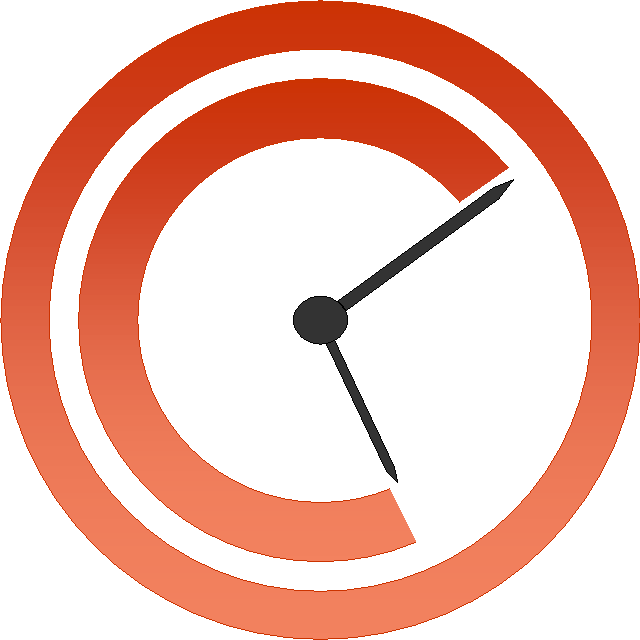 The main aim of the same is to keep a check on the chain of value and ensure adequate receipt of credit and compensation on the event of exploitation and use of a copyrighted work. The usage of block chain technology has been hailed to be effective in keeping track of how the information is used and avoid use for illicit purposes like Fake News propagation. Control over all kinds of information created, with the creator, has been argued to be the basic goal of inculcation and usage of blockchain technology, particularly in journalism. The method of operation of the same has been enunciated upon by the press secretary of the local Argentina based union of journalists – CISPREN, who states, “Authors will be able to upload their content to blockchain, ensuring authenticity. 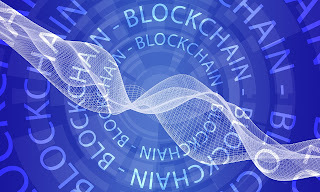 Further, presence of a QR code along with a digital signature will be additional safeguards in the case of a dispute.” An advantageous implication of the emergence of blockchain technology in the journalism domain obviously will be the presence of a “vigilant eye” for anyone violating copyright due to a permanent record of the work and the ability to track the usage of the work, as has been reported by the bitcoin magazine. However, certain anxious issues exist as well, with the evolution of technology and the incapability of law to address the various consequential problems associated with it. The law, is not in its current state, woke enough to accommodate to such technological usage and there is grave possibility of misuse. Due to the anonymous nature of blockchain based transactions, which are embedded in an immutable manner, there is a huge possibility of circulation of infringing content and mis-information. The option to exploit such technology is not merely limited to rightsholders but rather is accessible to infringers as well, and until regulation is at its paramount, there is a certain risk associated with the adoption of newer technological mechanisms. Certain questions like management of takedown requests, identification of location of infringing work in an immutable embedded world are being posed, which are imperative to be brainstormed upon before lauding the appealing usage of such technology. The registration requirement is unique to the United States copyright enforcement and has been a topic of debate, in relation to its ambit, since long. There has been a split on the threshold requirement to fulfil “registration” amongst the circuits, with some preferring the “certified registration complete” approach (10th and 11th circuit) and some, the application approach, which is limited to merely applying (5th and 9th circuits). Even within the 6th and 7th circuits, there is no harmony in the view adopted and there has been a multitude of opinions flowing as to which is the most appropriate and intended one. The Copyright office has also shown its support towards the registration approach. It’s inclination towards the registration approach obvious, keeping in mind the profitability that follows from it. There is an expended approach mechanism, wherein the rightsholder can finalize upon a registration in under 5 days, upon the payment of a hefty 800$ per claim, over and above the regular application fee. The argument resorted to by the proponents of the registration approach is merely grounded on the literal rule of statutory interpretation, read on the provision which states,” no action for infringement can be instituted until registration of the copyright claims are made in accordance of the act.” This however goes against the creators’ interest and is a burdensome procedural flaw in the US copyright system. This issue is finally being taken up the US Supreme Court, upon a certificate issue in the matter of Fourth Estate Public Benefit v. Wall-Street.com. The Supreme Court too on 8th January, seemed divided on the interpretation with Justice Elena Kagen saying that the only way to be read the statute is to imply registration as registration being made and finalized conclusively. 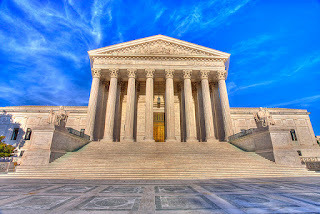 This was in support by Justices Sonia Sotomayor and Brett Kavanaugh and Chief John Roberts, however the Chief also acknowledged the technological development taking place resulting in faster infringing mechanisms and the problems associated with waiting for completion of registration. A purposive interpretation was also argued for by the amicus groups in the issue like the National Music Publishers association. In my opinion, in the current age of technological dynamism and the Copyright Act being drafted in 1976, waiting for a registration-based practice can result in validating infringement actions on an incidence of a lackadaisical conduct by the Copyright office. Further, there is a chance of exploiting the literal connotation of the provision by the Copyright office, in order to mooch of extra money. Hence, a harmonious purposive construction is imperative to effectively safeguard the rights of the shareholders especially in the realm of US Copyright law, wherein the threshold of copyrightability is a minimal modicum of creativity as compared to novelty in patent law. 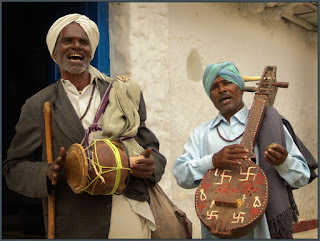 India is known as the land of folk music because of the traditional association of music and lifestyle even within the diverse religious and sectoral groups present. An interesting question regarding the copyrightability of such traditional songs has been brought in before the Bombay High Court, which is set to decide this matter soon. Old songs which are sung in traditional community-based weddings have been argued to have been infringed by being included in a lyrical compilation, without the earlier author’s permission who had published the same earlier. The counter argument that has been raised is that these songs are traditional and not owned by any individual person. They are in the Public domain. In this light, I would like to get in the WIPO’s interpretation of the same. The WIPO has described the concept of Traditional Cultural expressions and has used it synonymously with the phrase “expressions of folklore”. It has defined it to mean productions consisting of characteristic elements of the traditional artistic heritage developed and maintained by a community. These include verbal expressions such as folk tales, musical expressions such as folk songs and instrumental music. They have defined traditional as- not “old” but rather an expression based upon tradition or associated with an indigenous or traditional society (based on location or community beliefs) and practiced in traditional ways. (WIPO Publication no. 489 (E), 2004). A specific expression of the same inculcating elements of originality or in a form of a compilation has although been held to be protectable due to involvement of sufficient skill and judgment, which is the threshold of originality. This doesn’t seem the case for lyrical infringements as the lyrics are always in the public domain and cannot be specifically changed in traditional works. “Traditional” implies a community economy, wherein authorship is not a central concern and is evolutionary in nature. Hence, it can easily be held that a copyright or a monopoly right to exploitation cannot be claimed over lyrics of a traditional song that has been published, due to it being a generic element of a society and hence a mere idea rather than an original expression of the same. The court in the case at hand, although, needs to analyse the work wherein copyright is being claimed and examine whether, there are elements in the work which go beyond being traditional and generic, and fulfil the threshold of originality. Otherwise, a claim of copyright on an expression of a traditional song merely lyrically written, should ideally not be sustainable and there would be no infringement. A certiorari has been filed in the United States Supreme Court, against the decision of the 9th Circuit case of Rentmeester v. Nike, (883 F.3d 1111 (9th Cir. 2018) wherein, it has been argued that the 9th circuits decision is problematic and creates a circuit split, by giving “photographs a thinner protection than any other art form”. It has been alleged that an evaluation which requires super-substantial similarity is to be conducted which goes against the 11th, 1st and 2nd circuit decisions which treat the individual elements of a photograph substantially protectable while evaluating the whole, rather merely the whole of the expression. 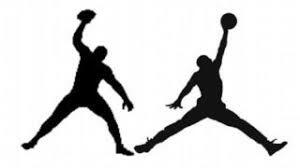 The background of the case dealt with 2 photographs involving Michael Jordan jumping in the style of ballet’s grand jete, with the ball in his left hand. However, the picture was taken from a different angle. This issue has been previously covered by the CopyKat in January 2015 and March 2018. The dispute in the 9th circuit case involved 2 photographers, however it brings up a highly important question of how to treat photographs in copyright law and the concept of art within it the law - and transformative art in the context of 'fair use'. In the case of Cariou v. Price, 714 F.3d 694 (2d Cir. 2013) , substantiality was evaluated on the basis of “character” and “aesthetics”. Similar questions have been asked in cases like Kienitz v. Sconnie Nation LLC, 766 F.3d 756 (7th Cir. 2014), however a conclusive determination of what is to be considered of substantial importance when evaluating similarity amongst photographs is yet to determined. The CopyKat has its eyes set. Will it be lighting choices or painter’s use of colours?, individual elements or the whole of a photograph?, superficial texture or imagery? It will be really interesting to see how the Supreme Court resorts to resolve this long standing question. In my opinion, there is no infringement in the case at hand as separate creativity was exercised on the part of both the fixers in terms of clicking the photograph and the instantaneous reactions irrespective of the subject captured. It’s not the subject pictured which is copyrightable rather the expression which comes out of the photograph. Until and unless, the same photograph is not reproduced, merely the subject which is fixed cannot be claimed a copyright on. The differentiating factor from music and other forms of art and a photograph is the creativity involved in the art of curating and the art on one hand and merely fixing it on the other. I aint undermining the skill, judgment and creativity involved in fixing and clicking a photograph, rather am appreciating the intuitive technique and fixation involved in it which differs inherently from person to person. The CopyKat is highly excited to see what the Supreme Court opines of the same. In the month of June 2018, Bethesda had brought in a copyright infringement suit over is videogame mobile title Fallout Shelter against Behavior Interactive and Warner Bros title Westworld. The main grounds alleged were based upon similar game design, art style, animations, features and other gameplay elements including various bugs being similar!! Notably even the source code in the resultant game was argued to be copied by Bethesda, claiming from an injunction from distribution and complete removal from the market. These allegations were completely denied then by Behavior Interactive. As reported by gamesindustry.biz, the dispute has amicably been resolved and the CopyKat can peacefully enjoy both these games now. This CopyKat by our new intern, Akshat Agrawal. Thank you Akshat!